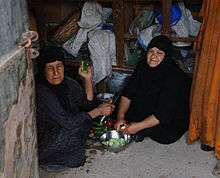 Iraqi women in their kitchen preparing a meal for a luncheon. Women in Iraq at the beginning of the 21st century are immersed status is affected by many factors: wars (most recently the Iraq War), sectarian religious conflict, debates concerning Islamic law and Iraq's Constitution, cultural traditions, and modern secularism. Hundreds of thousands of Iraqi women are widowed as a result of a series of wars and internal conflicts. 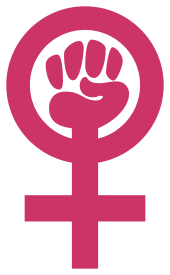 Women's rights organizations struggle against harassment and intimidation while they work to promote improvements to women's status in the law, in education, the workplace, and many other spheres of Iraqi life. However, all these ended with the fall of the Turks. Britain was given the Mandate for administering Iraq by the League of Nations and therefore a new era began in Iraq under British rule. In the 1920s there was a “major uprising where women took part” (p. 27). 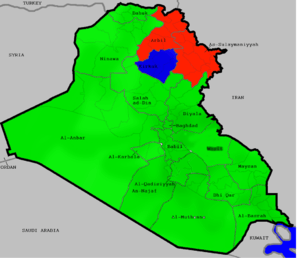 In 1932, Iraq was declared independent and in 1958 was declared a Republic as a member of the League of Nations. As Doreen Ingrams argues, instability was dominating the region until 1968 when “the Ba’ath Party took control over the President Al Bakr and Iraq began to enjoy a period of stability” (28). Saddam Hussein succeeded Al Bakr as President in 1979. With an estimated population of 22,675,617, Iraq is a male dominated society. Although there are many classes and castes within the culture, the official language of Iraq is Arabic and Kurdish. On International Women's Day, 8 March 2011, a coalition of 17 Iraqi women's rights groups formed the National Network to Combat Violence Against Women in Iraq. Some reported issues related to women in Kurdish society include genital mutilation, honor killings, domestic violence, female infanticide  and polygamy. Majority of reports have come from Iraq where the Kurdish and Iraqi population have been poorly educated and illiteracy is still a big problem among citizens. However, some reported issues have not been taken seriously, this is because all reported issues are common among the populations with whom they live. Scholars like Mojab (1996) and Amir Hassanpour (2001) have argued that the patriarchal system in Kurdish regions has been as strong as in other Middle Eastern regions. In 1996, Mojab claimed that the Iraqi Kurdish nationalist movement "discourages any manifestation of womanhood or political demands for gender equality." In 2001, Persian researcher Amir Hassanpour claimed that "linguistic, discursive, and symbolic violence against women is ubiquitous" in the Kurdish language, matched by various forms of physical and emotional violence. In 2005, Marjorie P. Lasky from CODEPINK claimed that since the PUK and KDP parties took power in Northern Iraq 1991, "hundreds of women were murdered in honor killings for not wearing hijab and girls could not attend school", and both parties have “continued attempts to suppress the women’s organizations”. 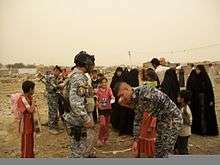 Marjorie P. Lasky also said that U.S. military personnel have committed crimes of sexual abuse and physical assault against women and they are one of the reasons why women rights have worsened in Iraq. The honor killing and self-immolation condoned or tolerated by the Kurdish administration in Iraqi Kurdistan has been labeled as "gendercide" by Mojab (2003). Seldom worn at home by young urban women, the wearing of the black veil has expanded rapidly in Iraq under pressure from Islamists since 2003. Iraq is a secular society. Women and men in Iraq never imagined that they would defeat Baaist Fascism only to have it replaced with an Islamic dictatorship. Prevalence of female genital mutilation in Iraq for women aged 15–49 using UNICEF "Female Genital Mutilation/Cutting, 2013, from . There is a more recent 2016 survey here: . Green = Less than 3%, Blue = 15-25%, Red = Above 50%. The highest prevalence rates of FGM are in Kirkuk (20%), Sulaymaniyah (54%) and Erbil (58%). Female genital mutilation was an accepted part of Sorani speaking Kurdish and Iraqi Arab culture in Iraq, including Erbil and Sulaymaniyah. A 2011 Kurdish law criminalized FGM practice in Iraqi Kurdistan and law was accepted four years later. MICS reported in 2011 that in Iraq, FGM was found mostly among the Kurdish areas in Erbil, Sulaymaniyah and Kirkuk, giving the country a national prevalence of eight percent. However, other Kurdish areas like Dohuk and some parts of Ninewa were almost free from FGM. In 2014, a small survey of 827 households conducted in Erbil and Sulaimaniyah assessed a 58.5% prevalence of FGM in both cities. According to the same survey, FGM has declined in recent years. In 2016, the studies showed that there is a trend of general decline of FGM among those who practiced it before. Kurdish human rights organizations have reported several times that FGM is not a part of Kurdish culture and authorities aren't doing enough to stop it completely. Female genital mutilation was prevalent in Iraqi Kurdistan and among Iraqis in central Iraq. In 2010, WADI published a study that 72% of all Kurdish women and girl were circumcised that year. Two years later, a similar study was conducted in the province of Kirkuk with findings of 38% FGM prevalence giving evidence to the assumption that FGM was not only practiced by the Kurdish population but also existed in central Iraq. According to the research, FGM is most common among Sunni Muslims, but is also practiced by Schi’ites and Kakeys, while Christians and Yezidi don’t seem to practice it in northern Iraq. In Arbil Governorate and Suleymaniya Type I FGM was common; while in Garmyan and New Kirkuk, Type II and III FGM were common. There was no law against FGM in Iraq, but in 2007 a draft legislation condemning the practice was submitted to the Regional Parliament, but was not passed. A field report by Iraqi group PANA Center, published in 2012, shows 38% of females in Kirkuk and its surrounding districts areas had undergone female circumcision. Of those females circumcised, 65% were Kurds, 26% Arabs and rest Turkmen. On the level of religious and sectarian affiliation, 41% were Sunnis, 23% Shiites, rest Kaka’is, and none Christians or Chaldeans. A 2013 report finds FGM prevalence rate of 59% based on clinical examination of about 2000 Iraqi Kurdish women; FGM found were Type I, and 60% of the mutilation were performed to girls in 4–7 year age group. Female genital mutilation is prevalent in Iraqi Kurdistan, with an FGM rate of 72% according to the 2010 WADI report for the entire region and exceeding 80% in Garmyan and New Kirkuk. In Arbil Governorate and Suleymaniya Type I FGM is common; while in Garmyan and New Kirkuk, Type II and III FGM are common. There was no law against FGM in Iraqi Kurdistan, but in 2007 a draft legislation condemning the practice was submitted to the Regional Parliament, but was not passed. A 2011 Kurdish law criminalized FGM practice in Iraqi Kurdistan, however this law is not being enforced. A field report by Iraqi group PANA Center, published in 2012, shows 38% of females in Kirkuk and its surrounding districts areas had undergone female circumcision. Of those females circumcised, 65% were Kurds, 26% Arabs and rest Turkmen. On the level of religious and sectarian affiliation, 41% were Sunnis, 23% Shiites, rest Kaka’is, and none Christians or Chaldeans. A 2013 report finds FGM prevalence rate of 59% based on clinical examination of about 2000 Iraqi Kurdish women; FGM found were Type I, and 60% of the mutilation were performed to girls in 4–7 year age group. In 2008. the United Nations Assistance Mission for Iraq (UNAMI) has stated that honor killings are a serious concern in Iraq, particularly in Iraqi Kurdistan. The Free Women's Organization of Kurdistan (FWOK) released a statement on International Women's Day 2015 noting that “6,082 women were killed or forced to commit suicide during the past year in Iraqi Kurdistan, which is almost equal to the number of the Peshmerga martyred fighting Islamic State (IS),” and that a large number of women were victims of honor killings or enforced suicide – mostly self-immolation or hanging. OWFI created shelters in Baghdad, Kirkuk, Arbil and Nassiriya for women and couples whose families have threatened them with honour crimes. The location of shelters was kept secret and they were under permanent guard. A crisis phone line number was available in each issue of 'al-Moussawat. An "underground railroad" was put in place, with the help of the American association Madre, to allow some women to clandestinely escape the country. Several other organizations from abroad assisted this initiative. Arising from their fear of being raped and harassed, women have to wear not only the veil, but must also to wear the black dress in order not to attract attention. In an online edition of Guardian, the reporter Mark Lattiner reports that despite promises and hopes given to the Iraqi population that their lives were going to change, Iraqi women's lives "have become immeasurably worse, with rapes, burnings and murders [now] as a daily occurrence." The Iraqi Constitution states that a quarter of the government must be made up of women. However, the women that hold position in the government still have little to no power. Often, the women in government are just relatives of other leaders. Serious women leaders in Iraq are unheard of. But Iraq has been a leader on women’s rights for quite some time. In the 1950s it became the first Arab country to have a female minister and to have a law that gave women the ability to ask for divorces. Women attained the right to vote and run for public office in 1980. In 1986, Iraq created CEDAW, the Convention on Elimination of All Forms of Discrimination against Women. However, during Saddam Hussein’s rule, Iraq took many steps backwards in terms of women’s rights. Under his rule, women had no form of governmental power. Women had to lobby the American administrator in Iraq, L. Paul Bremer III, to mandate the requirement of a quarter of the Parliament’s members being women. There is also a large divide among the women themselves, some more modern women wanting a larger percent of women in the Iraqi government still, and some more traditional women believing that they and others are not qualified enough to hold any sort of position in the Iraqi government. Another existing issue is the increasing amount of illiterate females in the country. In 1987 approximately 75 percent of Iraqi women were literate. In 2000, Iraq had the lowest regional adult literacy levels, with the percentage of literate women at less than 25 percent. This makes it increasingly difficult to put educated women in a position of power. Although there are many issues with the current spread of power among genders in Iraq, they are one of the more Westernized Arab countries. But, there is hope for females in Iraq. After Hussein's fall in 2003, women’s leaders in Iraq saw it as a key opportunity to gain more power in Parliament. The leaders asked for a quota that would have seen that at least 40 percent of the Parliament to be women . In the 2010 National Elections, a group of twelve women started their own party based on women’s issues, such as a job’s program for Iraq’s 700,000 widows. The United State’s involvement in Iraq was seen as detrimental to women. Since Prime Minister Nouri al-Maliki was elected as Prime Minister of Iraq, not one women has been appointed to his senior cabinet. Many women across the country, especially young women, are afraid to voice their political voices for fear of harming their reputations. But when they do become active politically, they are seen as being influenced by the United States and trying to push a liberal agenda. Constitutionally, women lost a number of key rights after the United States entered Iraq. The Family Statutes law, which guarantees women equal rights when it comes to marriage, divorce, inheritance, and custody, was replaced by one that gave power to religious leaders and allowed them to dictate family matters according to their interpretation of their chosen religious text. ↑ Lancasten, Janine L. Education in Iraq Knsldfns. Admaveg, 2000. Web. 17 Jan. 2010. http://www.nationsencyclopedia.com/Asia-and-Oceania/Iraq-EDUCATION.html. ↑ Iraqi Women: Facts and Figures Ed. Jon Holmes. Inter-Agency Information and Analysis Unit, 18 Feb. 2004. Web. 13 Jan. 2010. http://www.unis.unvienna.org/pdf/factsheets/Iraqi_Women_Facts.pdf. ↑ (English) Nadje Al-Ali,Nadje Sadig Al-Ali,Nicola Christine Pratt, What kind of liberation? Women and the occupation of Iraq, University of California Press, 2009 p. 130. ↑ Sarhan, Afif , and Caroline Davies. 'My Daughter Deserved to Die for Falling in Love' The Guardian, 11 May 2008. Web. 21 Jan. 2010. http://www.guardian.co.uk/world/2008/may/11/iraq.humanrights. ↑ (English) Isobel Coleman, Women, Islam, and the New Iraq, Foreign affairs, January / February 2006. ↑ (English) Nadje Al-Ali,Nadje Sadig Al-Ali,Nicola Christine Pratt, What kind of liberation? Women and the occupation of Iraq, University of California Press, 2009 p. 105. ↑ Yasin, B. A.; Al-Tawil, N. G.; Shabila, N. P.; Al-Hadithi, T. S. (2013). "Female genital mutilation among Iraqi Kurdish women: A cross-sectional study from Erbil city". BMC Public Health. 13: 809. doi:10.1186/1471-2458-13-809. PMC 3844478 . PMID 24010850. 1 2 Yasin, Berivan A; Al-Tawil, Namir G; Shabila, Nazar P; Al-Hadithi, Tariq S (2013). "Female genital mutilation among Iraqi Kurdish women: A cross-sectional study from Erbil city". BMC Public Health. 13: 809. doi:10.1186/1471-2458-13-809. PMC 3844478 . PMID 24010850. ↑ http://www.europarl.europa.eu/RegData/etudes/etudes/join/2007/393248/IPOL-FEMM_ET(2007)393248_EN.pdf Kurdish Human Rights Project European Parliament Project: The Increase in Kurdish Women Committing Suicide Final Report Reported by several NGOs and members of Kurdistan National Assembly over course of study to Project Team Member Tanyel B. Taysi. ↑ (English) Iraq: Analysts say violence will continue to increase, IRIN, 21 septembre 2006. 1 2 3 (English) Madre's Sister Organization in Iraq. The Organization of Women's Freedom in Iraq, Madre, 2007. ↑ (English) Shelter gives strength to women, IRIN, 12 décembre 2003. ↑ (English) Nadia Mahmoud, Supporting a Women’s Shelter in Baghdad is a humanitarian task!, 25 août 2003. ↑ (English) Anna Badkhen, Baghdad Underground, Summer 2009. ↑ (English) Vidéo : Fighting for women's rights in Iraq, interview de Yanar Mohammed au sujet du meurtre de Dua Khalil Aswad, 26 juin 2007, sur le site CNN. 1 2 (English) OWFI, Prostitution and Trafficking of Women and Girls in Iraq, March 2010. ↑ (English) Organization of Women's Freedom in Iraq, The Organisation for Women's Freedom in Iraq (OWFI) has launched an on-line petition calling on the Iraqi Government to end capital punishment., 25 juillet 2009. Iraqi Women: Facts and Figures Ed. Jon Holmes. Inter-Agency Information and Analysis Unit, 18 Feb. 2004. Web. 13 Jan. 2010. http://www.unis.unvienna.org/pdf/factsheets/Iraqi_Women_Facts.pdf. Khan, Noor, and Heidi Vogt. Taliban Throws Acid on Schoolgirls Sweetness & Light, Nov. 2001. Web. 20 Jan. 2010. http://sweetness-light.com/archive/iraqi-school-girls-attacked-with-acid. Lancasten, Janine L. Education in Iraq Knsldfns. Admaveg, 2000. Web. 17 Jan. 2010. http://www.nationsencyclopedia.com/Asia-and-Oceania/Iraq-EDUCATION.html. Raphaeli, Nimrod . Culture in Iraq Middle East Forum, July 2007. Web. 13 Jan. 2010. http://www.meforum.org/1707/culture-in-post-saddam-iraq. Sarhan, Afif, and Caroline Davies. 'My Daughter Deserved to Die for Falling in Love' The Guardian, 11 May 2008. Web. 21 Jan. 2010. http://www.guardian.co.uk/world/2008/may/11/iraq.humanrights. Fighting for women's rights in Iraq, interview with Yanar Mohammed on the subject of the murder of Dua Khalil Aswad, June 26, 2007, on the news Website CNN (Warning: Graphic images).